Hello! I'm regularly updating this post to reflect progress on this game. Ocean's Heart is a game I started in about March of 2017 in order to teach myself to use the Solarus Engine and learn some coding. The most recent update was October 11th, 2018. 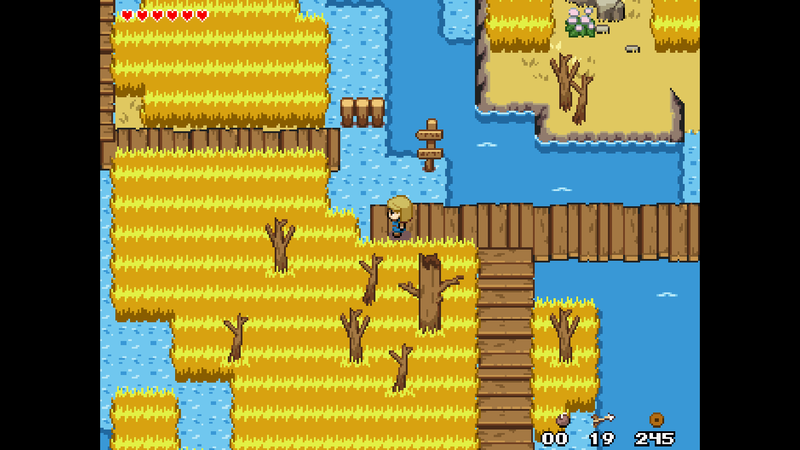 The game follows the journey of a girl whose father left their town six months ago to defeat pirates that attacked and kidnapped another girl. She spends most of the game following his trail and uncovering the plot that's kept him away for so long. I'm aiming for a cross between Zelda: The Wind Waker, and the Witcher 3:Wild Hunt, emphasizing exploration and interesting side-plots. 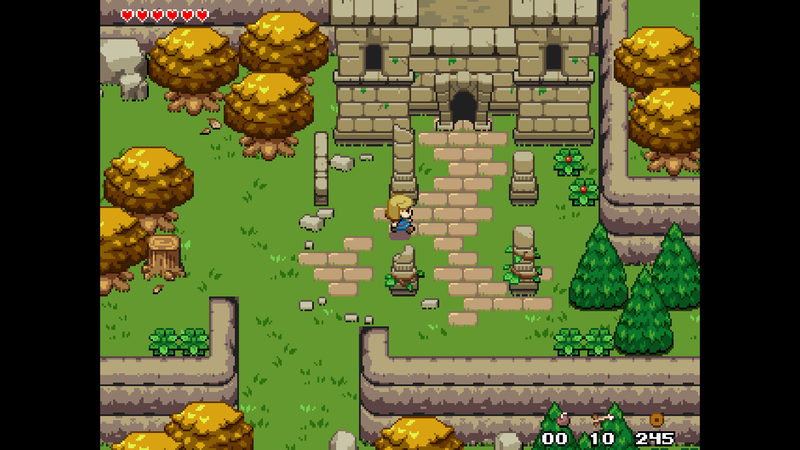 I'm not trying to emulate Zelda in its entirety, so there's a few differences in my approach to dungeons, player power progression, depth of sidequests, etc. The final game is on track to be 5-8 hours long depending on how much exploration the player is interested in. The game, rough estimate, is about 70% complete. 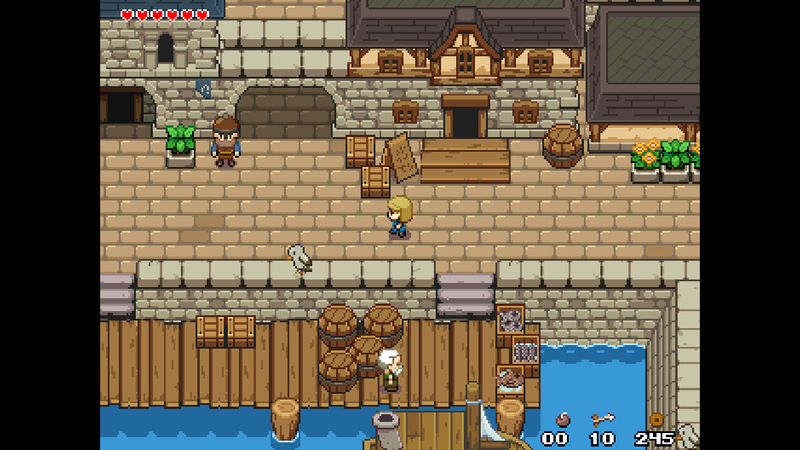 There are currently several islands to explore, a small handful of dungeons (some larger, some smaller), items and abilities to find, many sidequests, and a main quest that I'm estimating might take a few hours to get as far as you currently can. You could reasonably sink 3-5 hours into the game right now if you wanted to exhaust every side quest and find every hidden power-up and treasure. At the moment, I'd like to release Ocean's Heart in 2019, but you know how video game releases go. I've decided to take down the demo I had for now, since much about the game has changed and it was starting to become less than representative. It's just confusing for the both of us when people ask questions and I've already changed a lot. I'm planning another small demo sometime in the next few months that is a better vertical slice and will stand alone. If you're interested in testing or doing a let's play, send me a message or email and I might be able to hook you up with a playable build! Wow, these screenshots look amazing! Where do the graphics come from? To share your project, just make a zip file with both your data folder and Solarus (solarus.exe and the DLLs). Awesomely awesome! Really beautiful graphics. This community needs more projects like yours. Nice work. Question: Which is the license of the tilesets/sprites? WOW this is huge ! the city buildings look beautiful. Oh, thanks guys! I'm glad you like the look of it. All the graphics are something I've made myself for this project. It's been a great exercise to teach myself to do pixel art better, I've come a long way since I started a year and a half ago. I've also composed all the music, and I'm in the process of creating all the sound effects. I just recorded my dog last week to turn into a monster-damage sound. My plan is to, at some point, re-format my tileset and release many of the graphics I'm creating under a creative commons license, similar to what Diarandor is doing. I figure it seems like the Solarus team has their scripts included under the GPL v3, right? I've been looking over those and taking them apart and using them and modifying them for this game, so I figure the least I can do in return is contribute many of my graphics the same way. With that said, the way I've been working is adding onto the tilesets as I go and they're a hot mess. I know how to use them, but they'll take some modification before they'll really be ready to release. 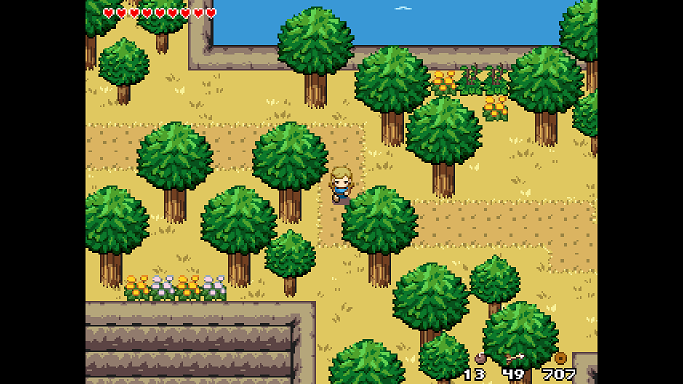 Besides that, I know I'm still going to be creating a lot more graphics for this game's later areas. If there's any interest though, I could throw together a very basic tileset if anyone wants to use these graphics right now. That looks amazing. Nice work! Wow, the pixel art is so beautiful. It makes me cry when comparing to my own. Edit: after watching the trailer a few times the music is already stuck in my head. Love it! Hey guys, so I think I'm actually ready to show this off now. As Christopho suggested, I put my data folder and all the Solarus stuff in one zip, which was smaller than I expected, so I just put it on Google Drive. If you'd like to play the game I've been working on, here it is! If you do all the sidequests and explore everything, I think the game is about 3 hours long so far, maybe more. If you give this a play, I'd love to know what you think! Thanks. Thanks a lot!!! This is great news. I will test it someday this month and will give you my opinion and suggestions. Good so far, I've been enjoying it. I like the humor in the dialogs. Looks like you forgot parentheses after map:get_hero on line 43 of that map script. Shoot, after I tested everything I added in a hero:freeze() function and was like "this is simple, I don't need to test it". Well. Thanks though, got it fixed! I better play through everything again as fast as I can to see if I messed anything else up, haha. Ran through everything again today- the main quest, at minimum, can be completed without any problems that I could find. I didn't test every side quest again, but I don't think I changed anything in those that I didn't test. Anyway, the download links have been updated with a new file that avoids that error!